Jeff Litman-Outside. 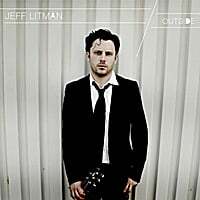 After bursting onto the power pop scene three years ago with the excellent Postscript NYC's Jeff Litman is back, and with Outside he's crafted another top-shelf singer-songwriter disc. Litman's style is Petty/Westerberg filtered through, say, Jim Boggia, and the result is one pop gem after another. The first three tracks encapsulate his sound: "Over and Over" recalls Pete Droge and features some fine guitar work from Litman; the driving "Runaway" is a cousin of Petty's "Runnin' Down a Dream"; and the title track is a bouncy pop tune wouldn't sound out of place coming from Jon Brion. Other standouts include the rocking "Chasing My Tail" and the catchy "Girl Down I-95" which almost demands radio play (at least in the Northeast along I-95). It's nice to see there isn't a sophomore jinx at play here, and you can listen to the entire album via the Bandcamp embed below. Prattle On, Rick-Songs of Our Fathers. Another returning artist to this site following up on a debut is Nashville's Prattle On, Rick. Patrick Rickelton & Co. gave us an impressive debut EP in 2010, and their latest EP is another winner. Like the debut, this is catnip for Elliott Smith lovers and anyone else who likes quality acoustic guitar-based pop. "I'll Start Again" is a deceptively simple track a la "I've Just Seen a Face" that opens the EP in fine fashion; "Song of Our Fathers" is taken to another level with its use of cello; and "If You Would Love Me Too" sounds like a lost folk-pop classic. A definite contender for Top EP of 2012. 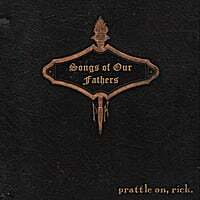 Songs of Our Fathers by prattle on, rick.